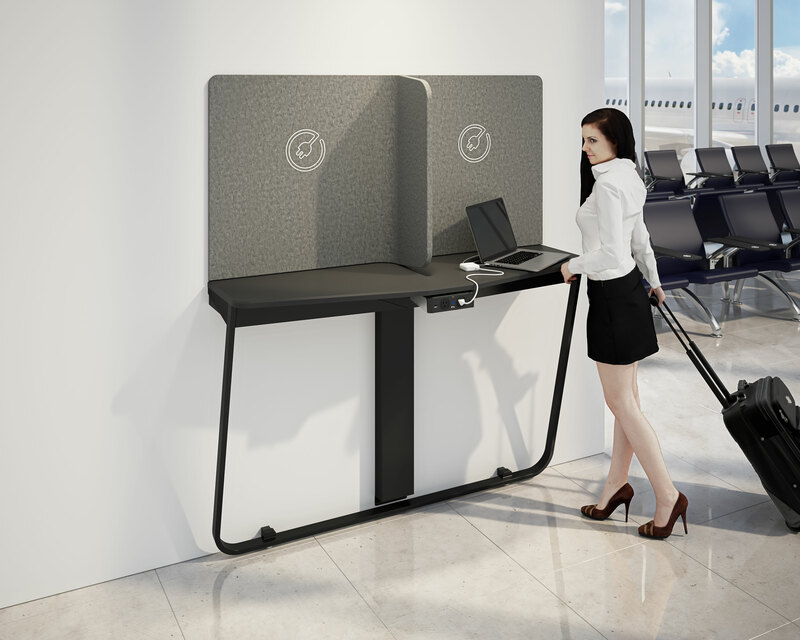 Arconas is launching two new airport furniture solutions, the inPower™ hub and Place™ wireless charging tablet at Passenger Terminal Expo in Stockholm, Sweden (March 20-22). The inPower™ hub is a sleek wall-mounted counter system designed with an integrated inPower™ flex 3 module for passengers to charge their personal electronics. Arconas has also seamlessly integrated wireless charging technology into the tablet arm of their Place™ seating series. The inPower™ hub takes advantage of unused wall space to create a calming respite area, with ample room for short-term multi-taskers to pause, work, eat, take a phone call, and recharge. Designed by Fig40, a leading Canadian industrial design studio, counter system, along with an optional noise dampening panel, offers an area for visual and acoustic privacy. The inPower™ hub can be mounted at 3 different heights: wheelchair, standing, and seated. Mounted below the counter is an inPower™ flex 3 module that includes two AC receptacles and two USB-C ports. Multiple inPower™ hubs can be mounted side by side and the power modules can be connected through a single power outlet to maximize power options for passengers without incurring additional coring costs. The hub is also simple to install and has minimal contact with the floor for clear sight lines and easy maintenance. Wireless charging technology has been seamlessly integrated into the tablet arm of Arconas’ Place™ seating series, allowing users to conveniently and safely charge their compatible phones. The unit complies with the latest version 1.2 Wireless Power Consortium (WPC) standard, also know as Qi, a widely popular industry standard used by major smartphone companies including Apple, Samsung, LG, Sony, Google, and Blackberry. 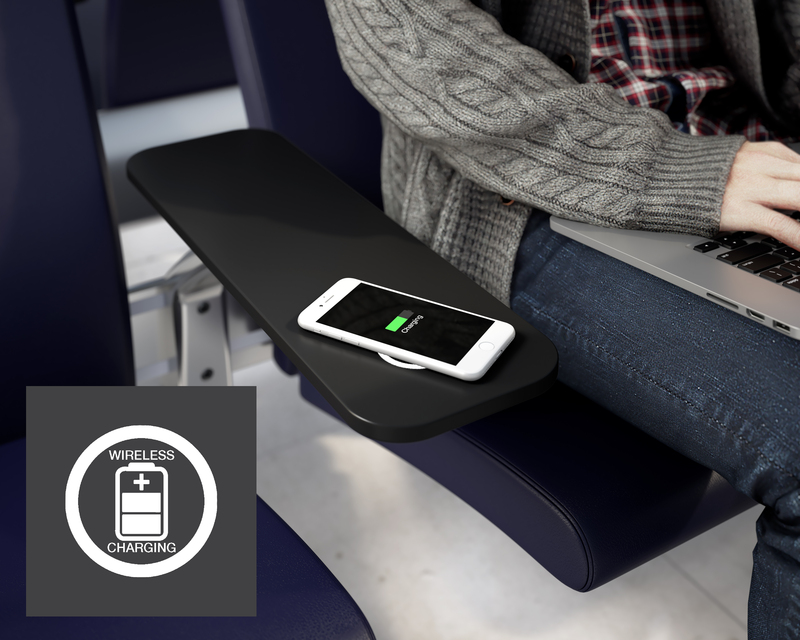 An icon with the words ‘wireless charging’ identifies the available technology, inviting passengers to easily charge their mobile phones from the comfort of their seat.